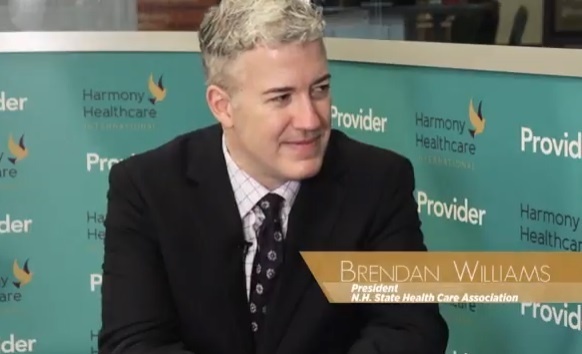 Pam Duchene, Vice President of Education and Training at Harmony Healthcare International (HHI), interviews Craig Cornett, President/CEO of California Association of Health Facilities (CAHF), in the 2018 AHCA Provider Lounge. 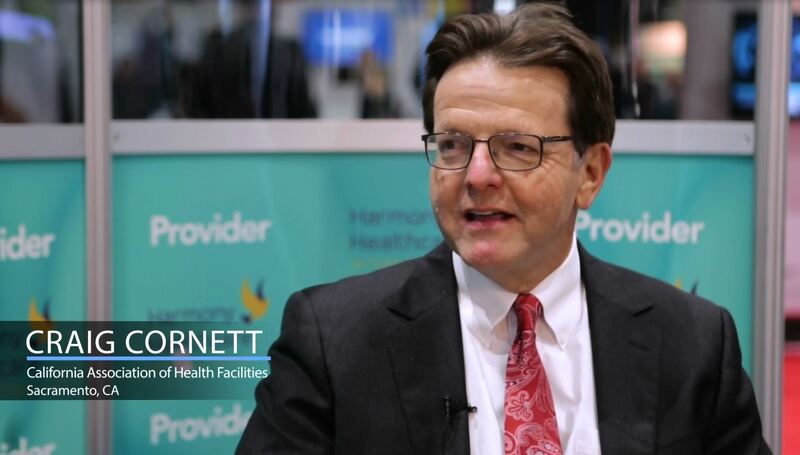 As President/CEO of CAHF, Craig Cornett is tasked with helping his member facilities navigate the sea of regulatory change. 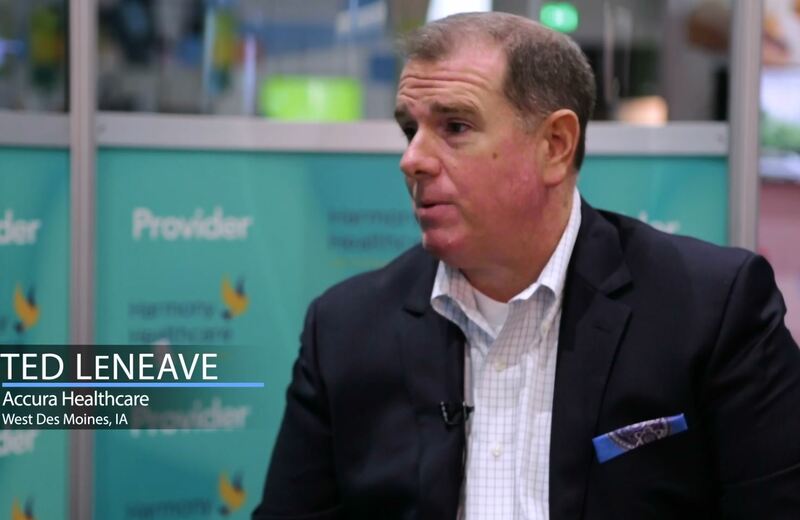 With new staffing mandates in California, Craig explains that many facilities are now facing workforce crises, especially when it comes to staffing CNAs. With the help of a state and federally funded grant, CAHF is assisting their facilities with CNA training. Craig believes that in California alone they will need 20,000 new CNAs within the next four years. 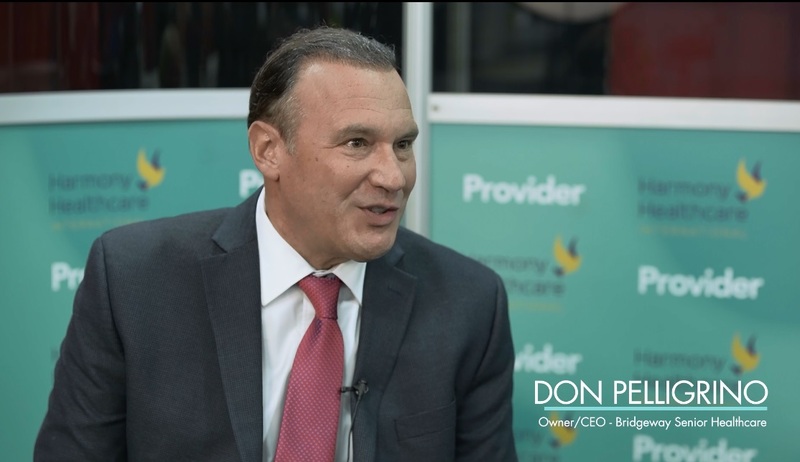 Kris Mastrangelo, President of Harmony Healthcare International (HHI) interviews Don Pelligrino, CEO and Owner of Bridgeway Healthcare in the 2017 AHCA Provider Lounge. Don discusses his staffing challenges in the ever-changing regulatory landscape. Don believes that no matter how good your outcomes are, without quality staff, running a successful SNF is going to be a challenge. Despite all challenges and regulatory uncertainty, Don's buildings have both achieved Five-Star ratings. 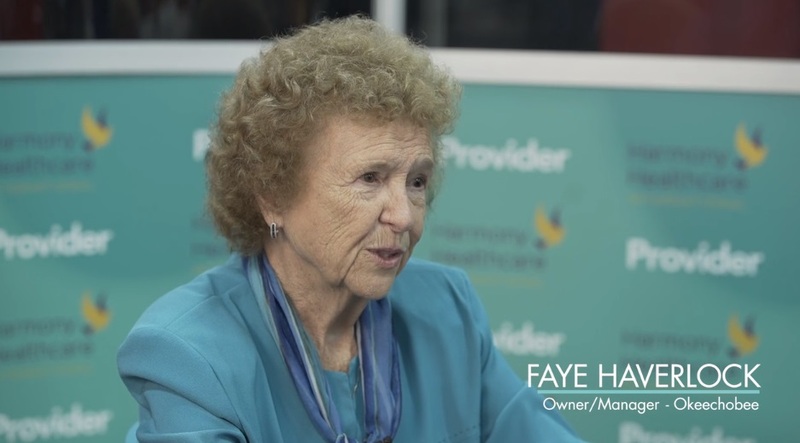 Kris Mastrangelo, President of Harmony Healthcare International (HHI) interviews Faye Haverlock, Owner/Manager of Okeechobee Health Care Facility in Okeechobee, Florida, in the 2017 AHCA Provider Lounge. Faye has built a "Gold Standard" facility, staying ahead of the industry curve when it comes to the personal care she provides both her staff and residents. She discusses how she empowers and supports her staff, from ensuring all staff have certified nursing assistant competencies to providing shelter to the families of staff who needed to work through recent storms (Audio transcription below). 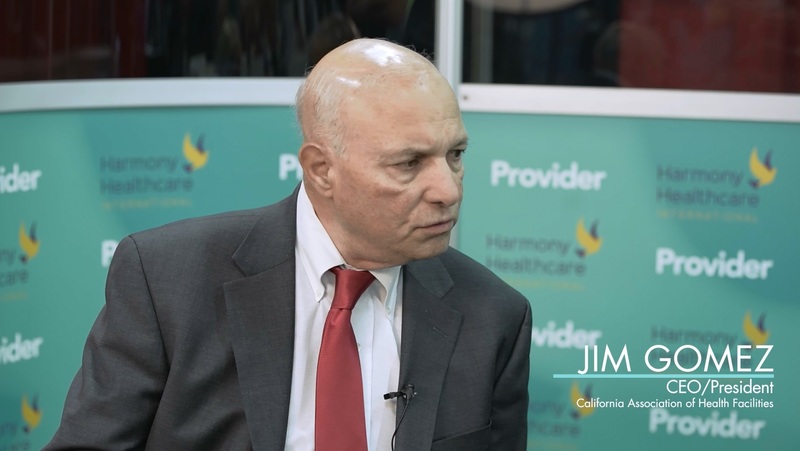 Kris Mastrangelo, President of Harmony Healthcare International (HHI) interviews Jim Gomez, President of the California Association of Health Facilities (CAHF), in the 2017 AHCA Provider Lounge. Jim discusses the new staffing regulations facing California healthcare faciliites, as well as the challenges those changes are creating. (Audio transcription below). 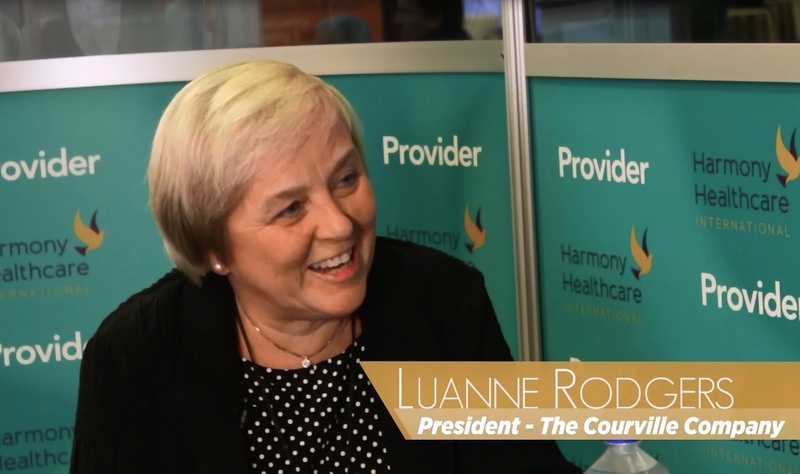 Kris Mastrangelo, President of Harmony Healthcare International (HHI) interviews Luanne Rogers, President and CEO of the Courville Communities of New Hampshire in the AHCA Provider Lounge. Luanne discusses how her amazing staff retention rates have lead to improved quality of care - something Luanne is proud to celebrate (Audio transcription below).